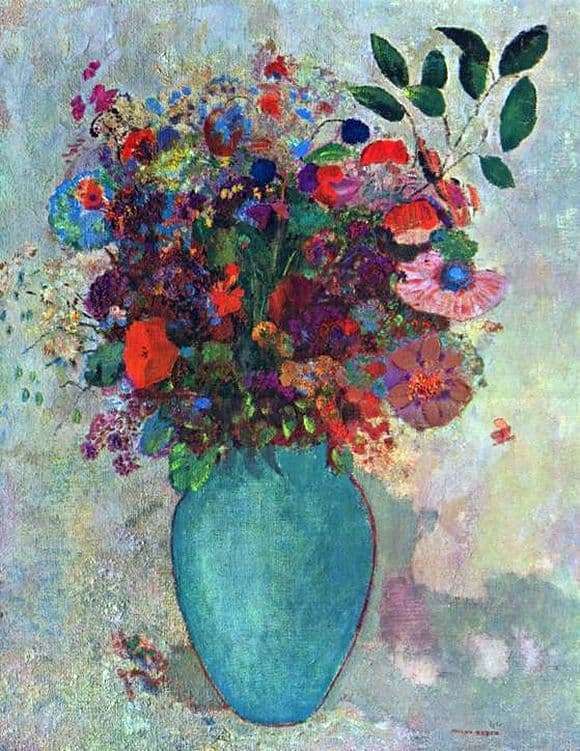 A talented artist named Odilon Redon, who lived from 1840 to 1916, can arouse a separate and very strong interest among those who most like impressionism, impressionism themselves and those paintings that depict flowers. At first, Redon there is nothing unusual or exciting with its colors, however it is only at first glance. In fact, he, like any talented artist in any of the areas, has his own unusual features and his own manner. We are talking about the features and uniqueness of the image of objects, plants or ordinary events from everyday life. And there is nothing more interesting, alive and at the same time simple than the flowers and nature that surround every person throughout their lives. All of them are familiar, but the work of this person is unique in that he has his own vision and symbolism even in colors. And in a number of paintings with flowers, connoisseurs of creativity may note some otherworldly details. In the artist’s diary, there is even one entertaining note: painting is to create your own unique substances for the sake of a particular, inner feeling. In the same way, nature creates for a long time diamonds, sapphires or gold. To achieve the same effect can be due to the innate gift of sensuality. That is, this gift can not be purchased. Indeed, the flowers of Redon are unique images that most resemble human visions and not real objects. Each such picture combines compositions, images and visions of the creator. For this reason, most of the work becomes not only specific, but also, as reported by many connoisseurs and critics, a bit abstruse for the ordinary understanding of the ordinary viewer.